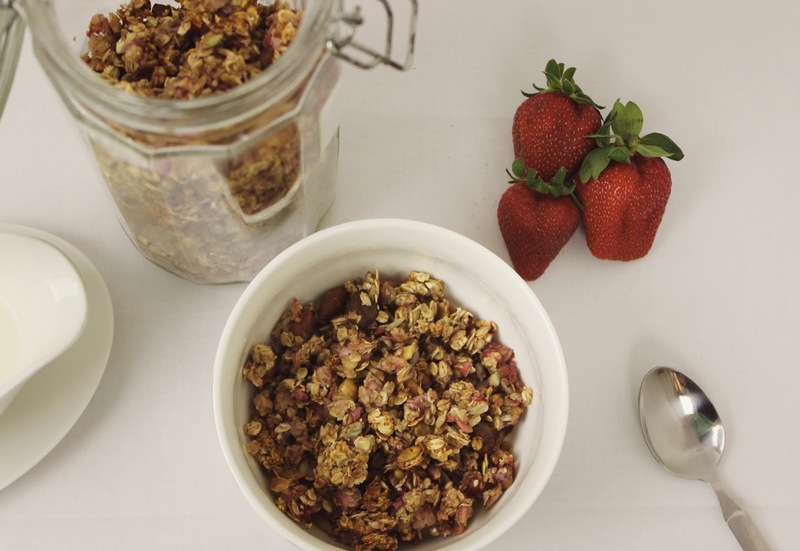 I am sure this is just the start of many Granola and Muesli recipes that I will be created and I will make sure to share each and everyone with you, so you can trial it out for yourselves. I used the recipe from ‘How Sweet Eats’, and adapted it to suit my needs. 1. Preheat oven to 180-degrees Celsius. 2. 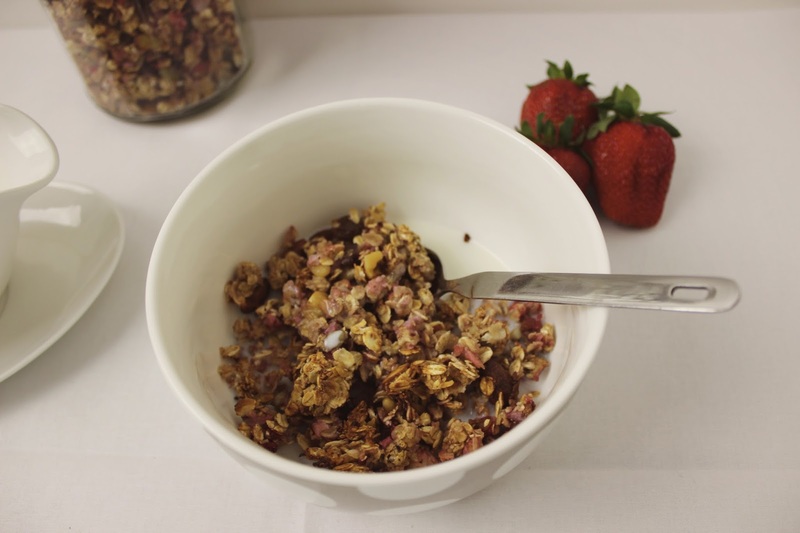 In a large bowl combine oats, egg or flaxseed, salt, cinnamon, almond, nuts and seeds and dried fruit. Stir to combine. 3. 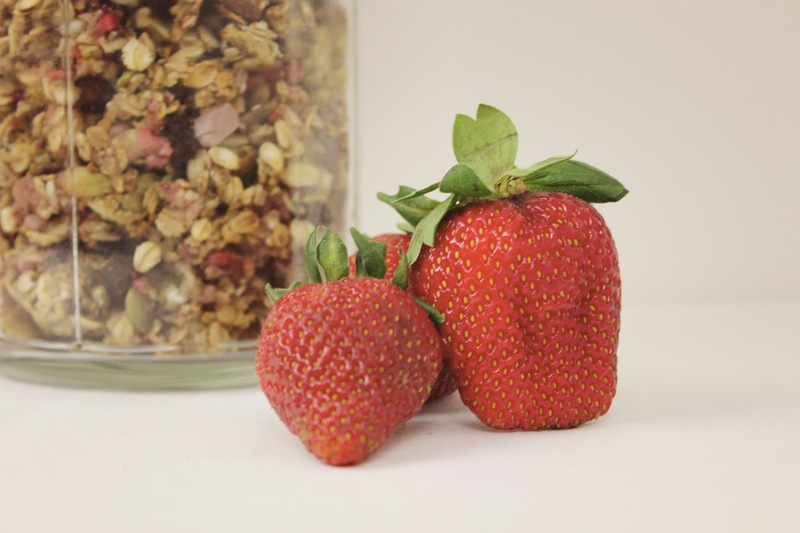 Add strawberries (with the tops removed) to a food processor and blend until pureed. 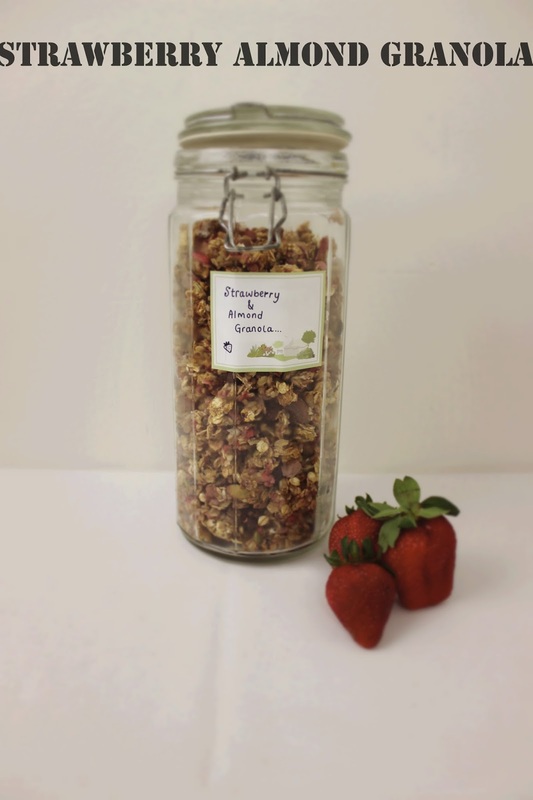 (It is perfectly fine if some of the strawberries are still a bit chunky – adds a little colour and extra taste) Set aside. 4. Melt the butter and add the vanilla. 5. Add the honey to the dry ingredients and mix together. 6. Stir in the strawberry puree and butter, tossing until everything is coated. Spread onto a prepared baking sheet. 7. Bake for 20-25 minutes, stirring every 5-7 minutes. 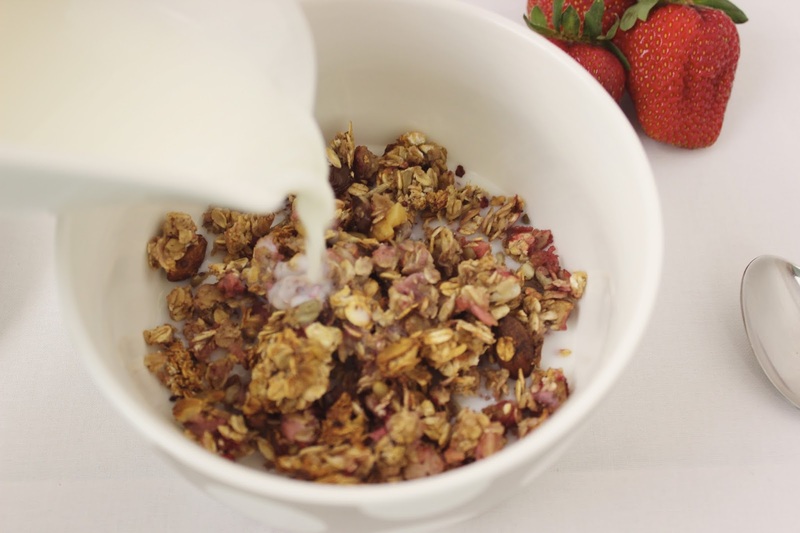 You want the Granola to be slightly golden when you remove it from the oven. 8. Leave it to cool for up to one hour, so that it becomes crunchy. 9. Store in a seal tight container for up to one week. I hope you all trial the recipe and please feel free to comment down below future flavour combinations for me to create, plus a picture of your creation with how you prefer to serve it. Enjoy your week and I will speak to you all very soon!